Our family does a lot of cooking and baking, something is always going on in the kitchen. With that comes lots of messes and going through lots of measuring cups and measuring spoons. 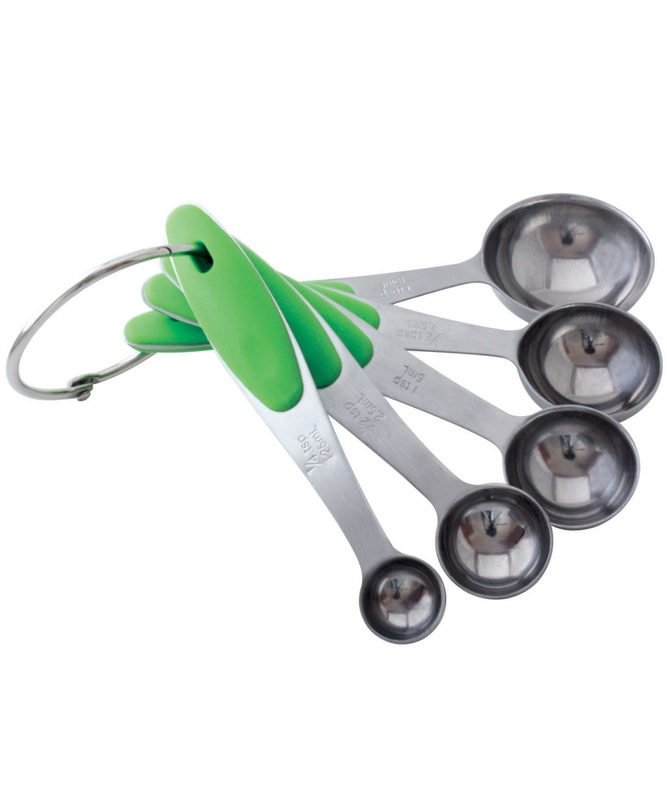 I really like that the Kitchen Zest Measuring Spoons comes with a large round keychain hook so that all of my measuring spoons stay together. In the past I have had my husband make me some kind of holder for my measuring spoons. I won't even look at measuring spoons that don't have someway I can join the whole set together. When you have children learning how to cook and bake you need to have something that keeps your items together so they don't get separated and lost. The Kitchen Zest Measuring spoons come in two colors. I chose black because it goes with my kitchen better, but they do have green for those who like green better. These measuring spoons are stainless steel sturdy and have a nice soft grip on the handles so you don't drop them when they get wet while prepping your recipes. 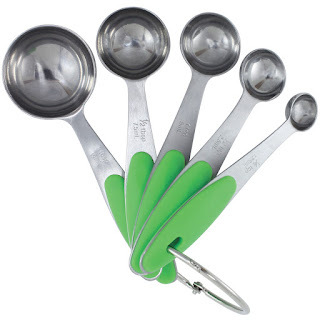 You can purchase the Kitchen Zest Measuring Spoon set on Amazon. Available in two colors Green and Black. What Kitchen Zest has to say about their product. Kitchen Zest is proud to offer this high-quality set of marine-grade stainless steel measuring spoons. Each spoon has a level rim for accurate measurement, is deeply engraved with standard and metric measurements, has a soft-touch grip in the handle, and comfortable rolled edges. The entire set is dishwasher safe, comes with an easily removable stainless steel ring to keep them organized and features a 100% money back guarantee. The set comes beautifully packaged for gift giving - birthday, Christmas, Mothers Day, every day. Includes 1 tablespoon, ½ tablespoon, 1 teaspoon, ½ teaspoon, ¼ teaspoon with metric equivalents. Features level rims and soft-touch ergonomic handle grips. Attached to removable stainless steel ring.